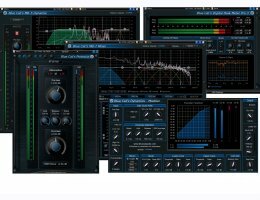 This bundle of plug-ins includes our best tools to manage the dynamics of your audio tracks: Blue Cat's Peak Meter Pro monitors the levels and offers unique ducking capabilities thanks to its side chain features. Blue Cat's Dynamics includes all you need for broadband dynamics processing, while Blue Cat's MB-5 Dynamix takes care of multiband effects. Blue Cat's MB-7 Mixer is the perfect companion for these dynamics processors: it will let you create powerful multiband side chain effects. Finally, Blue Cat's Protector's simple yet efficient limiting capabilities completes the bundle. SSE2-enabled processor (Pentium 4 or later). Mac OS X 10.5 to 10.10.